Peter Carr is an innovative Nurse Lecturer who coordinates the subject NPD100 Health Communications, Research and Informatics for undergraduate nurses at The University of Notre Dame Australia. The tagline on the poster “#NPD100 The Conference” refers to the neat trick of using the subject code as the hashtag. Such a good idea. Some universities and workplaces still have a stop it or you’ll go blind! kind of attitude towards social media, so it’s very refreshing to see a university subject that so strongly encourages students to utilise social media professionally, to be digital citizens. It is a terrific honour to be asked to contribute at this conference – I’m very grateful to Peter for asking me along. Together with Kane Guthrie and Marie Ennis O’Connor, we will have time to explore some of the uses of health care social media. 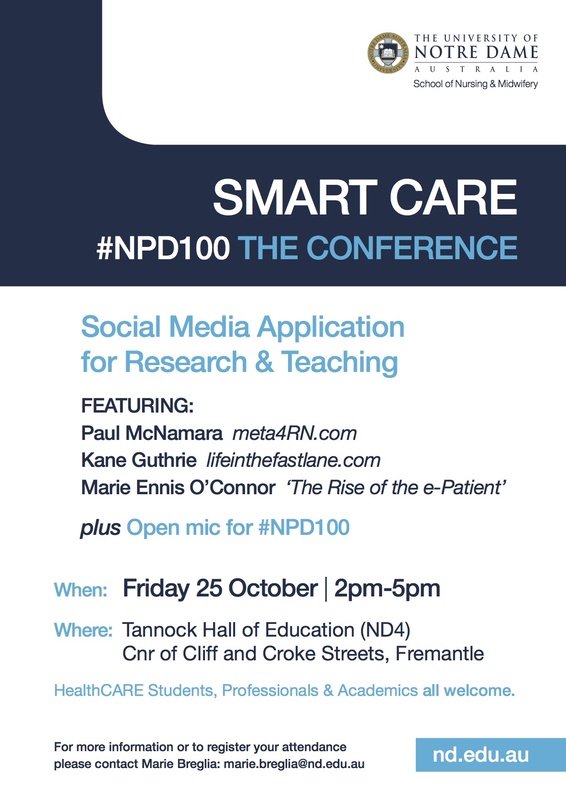 To assist the flow of ideas to continue beyond one Friday in Freo, a copy of my #NPD100 SMART CARE Conference presentation is included below. Regular visitors to meta4RN will recognise the presentation above as having a lot in common with this recent post: meta4RN.com/poster. Yes folks: self-plagarism is alive and well. However, in my defence, the #NPD100 presentation will be able to explore some of these ideas in a lot more detail than the poster version. 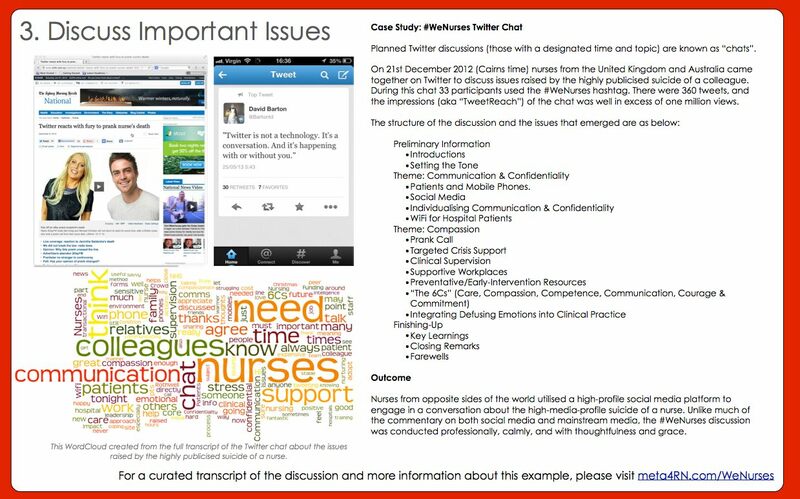 This entry was posted in Blog and tagged #HCSMANZ, #SoMe (Social Media), blogging, communication, nursing, Twitter on 25 October 2013 by Paul McNamara. Monday at the Australian College of Mental Health Nurses (ACMHN) 39th International Mental Health Nursing Conference, we conducted a workshop on Engaging with Social Media. There were three workshop facilitators: Clare Butterfield from Canberra, Communications & Publications Officer (see @ACMHN on Twitter), Paul McNamara (me), Clinical Nurse Consultant from Cairns (see @meta4RN on Twitter) and, our special guest co-facilitator Emily Mignacca (see @emilymignacca on Twitter) graduating student nurse who commences as a RN specialising in mental health early in 2014. Rather than use a PowerPoint or other traditional presentation method, I wrote the core content of the workshop as a series of Tweets. In real time as the hands-on part of the workshop was in action, we sent the Tweets out from the @ACMHN Twitter account. The Twitter feed on this page twubs.com/ACMHN2013 was projected onto a screen so workshop participants could see the @ACMHN tweets, their own tweets using the conference hashtag and, perhaps most importantly, the comments and interaction from other Twitter users who used #ACMHN2013. 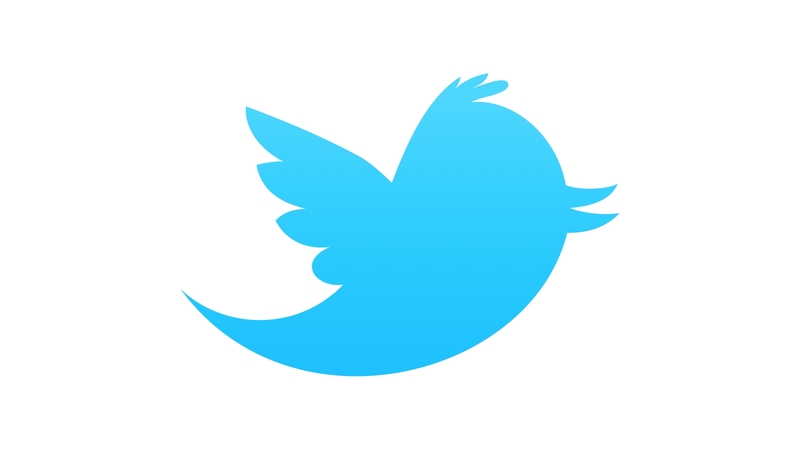 It was a successful strategy – I’ll certainly use it again for future workshops on using Twitter. 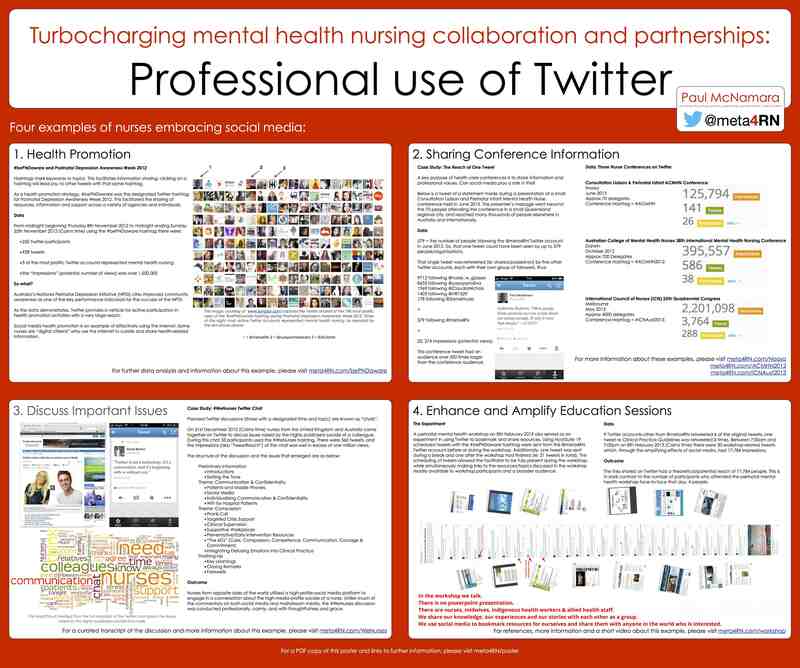 Social media allows Collaboration and Partnerships in Mental Health Nursing to transcend time and place: time through collaborative, asynchronous communication; place by being connected to the world’s online clinical communities. This hands-on workshop aims to act as a launching-pad for those who want to turbo-charge the conference theme. The workshop will be in two parts: The first, briefest part, will introduce four examples of professional use of social media, using Twitter as the primary example. This part of the workshop intends to show participants the value of engaging with social media. a spirit of curiosity and fun! To reinforce the learning acquired in the workshop, follow-up “skill checks” will be scheduled during conference breaks on Tuesday and Wednesday. Please come along – the workshop facilitators expect it to be a dynamic, fun, enlightening masterclass in engaging with social media. Emily Mignacca was invited to join in co-facilitating the workshop just a couple of weeks before the workshop. Although Emily missed-out on being named in the pre-conference publicity, her participation on the day was vital. Emily worked hard and did a good job supporting people who were more than twice her age pick-up some of the skills and enthusiasm she has in using social media professionally. You could do worse than follow @emilymignacca on Twitter. Below is a list of my pre-composed, pre-ordered tweets for the workshop. There were minor adjustments, inclusions and exclusion made as we went along, but mostly we just sent them out verbatim. A Twitter Workshop in Tweets by Paul McNamara is licensed under a Creative Commons Attribution-NonCommercial-ShareAlike 3.0 Unported License. Based on a work at http://meta4RN/tweets. #ACMHN2013 @nurse_w_glasses is a rockstar amongst social-media-mental-health-nurses: well worth following. #TwitterTips #ACMHN2013 Be careful mixing personal and professional. Boundaries are important. #TwitterTips #ACMHN2013 You already know about confidentiality; if you’re doing confidentiality wrong online it will definitely get spotted. 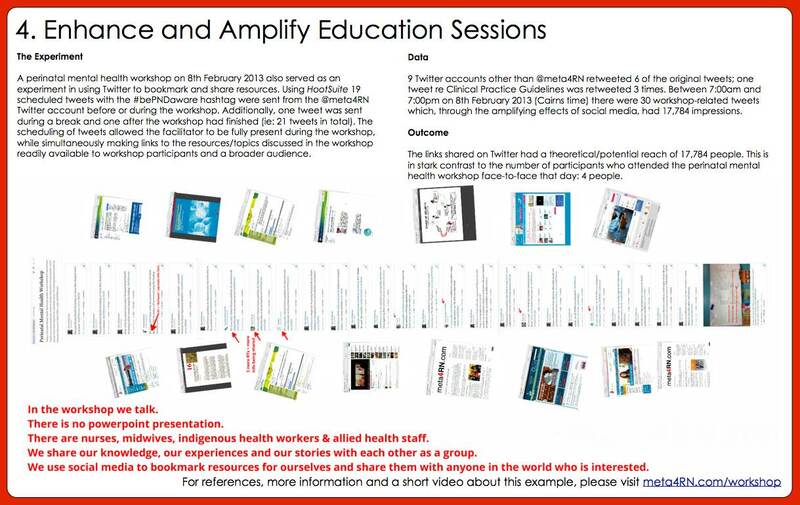 #TwitterTips #ACMHN2013 Naturally, you would NEVER give individual or detailed clinical advice on Twitter. #TwitterTips #ACMHN2013 Apologise if you do/say something stupid. BTW sorry for saying “dickhead” before. #TwitterTips #ACMHN2013 Twitter spam is especially good at playing on the insecurities of newbies, so be vigilant + don’t click dodgy links. This person is saying horrible things about you www.dodgylink.com DON’T CLICK! This photo of you! LOL www.dodgylink.com DON’T CLICK! 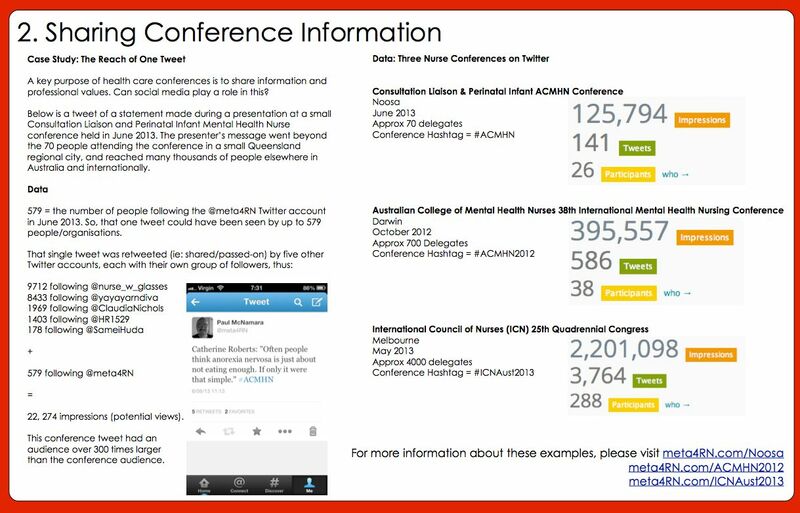 #TwitterTips #ACMHN2013 Mostly you won’t Tweet from/about your workplace… you’ll have your work to do. #TwitterTips #ACMHN2013 There may be an occasional exception to the workplace rule, eg: Gammin Hospital Christmas decorations are fabulous! 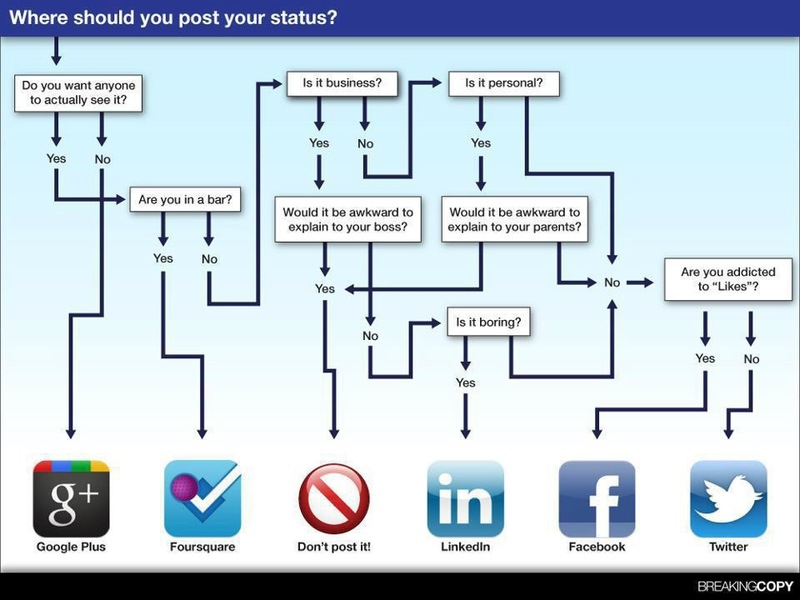 #TwitterTips #ACMHN2013 Would your patients or boss be offended by that photo? Yes = Delete. No = Tweet. #TwitterTips #ACMHN2013 RT @charleneli: Twitter is not a technology. It’s a conversation. And it’s happening with or without you. #TwitterTips #ACMHN2013 Connect. Be generous. Have fun. As always, your comments and feedback is welcome. Please use the comment facility below. 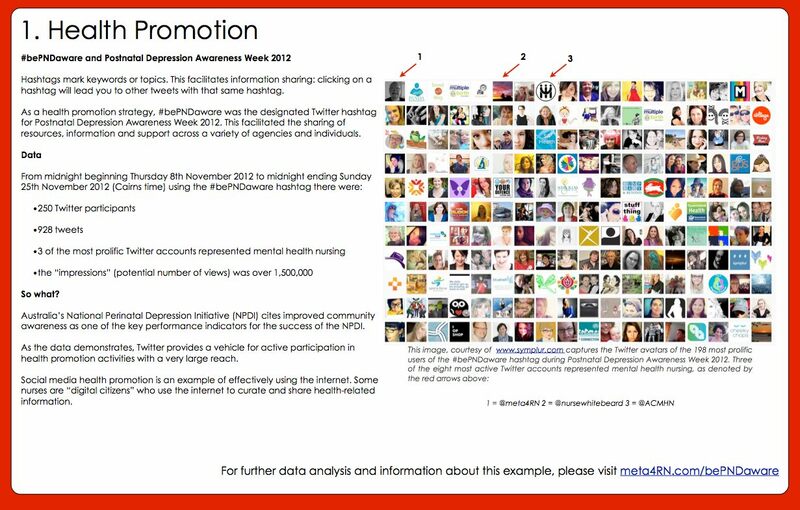 This entry was posted in Blog and tagged #HCSMANZ, #SoMe (Social Media), ACMHN, mental health, nursing, Twitter, workshop on 20 October 2013 by Paul McNamara.